In England, there are 120,000 parents or carers who are potentially in need of specialist treatment for alcohol dependence. As reported in our blog Children of alcoholics to get much needed support, £4.5 million of joint funding from the Departments of Health and Social Care and Work and Pensions (DHSC and DWP) has been allocated to an innovation fund. This fund, to be managed by Public Health England (PHE), aims to lessen the distress of children suffering because of issues with alcohol in the home. 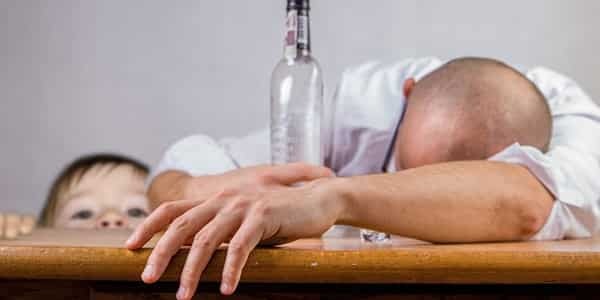 It is estimated that there are 200,000 children living with adults who are dependent drinkers. The negative effects that alcohol can have on the lives of children can be significant and long lasting. Alcohol is often a major factor in causing or exacerbating parental conflict and violence. This can lead to a range of poor outcomes for children including damaging their education, health and future employment prospects. The children themselves are also more likely to become alcohol dependent. The statistics are shocking. Between 2011 and 2014, parental alcohol misuse was recorded as a factor in 37% of cases where a child was seriously hurt or killed. A Department for Education census showed that in 2016–2017, 18% of cases where a child was assessed as ‘in need’ could be related to alcohol. Not all areas of the country have the same level of problem, however. In some local authorities, there are as few as 10 children per thousand affected, and in others there are as many as 50 children per thousand. It is hoped that local authorities will be able to use this innovation fund to support their most at-risk children and improve their environments. Successful bids to the Innovation Fund for Children of Dependent Drinkers will be chosen by measuring expression of interests against a set of criteria that have been agreed with DHSC and DWP. These include increasing the number of children of alcohol dependent parents identified and supported; increasing the number of parents in alcohol treatment; and working to reduce parental conflict. A national panel will interview the longlisted candidates and make recommendations for successful bids to Ministers who will announce those selected to go forward in October. To support applications from local authorities, a toolkit is available from PHE, which includes data and advice on how best to meet the needs of children growing up in these situations and those of their parents and carers. For information on any of AlphaBiolabs’ Local Authority testing services or alcohol-testing solutions including continuous alcohol monitoring, please call 0333 600 1300 or email us at info@alphabiolabs.com.